Crane jibs can be used to move non-palletized goods and other loads. Jibs come in a wide range of sizes and capacities but not all of them can be telescopically extended and retracted when attached to forklift trucks. Jib length can be adjusted by the forklift driver without leaving the cab. The jib can be extended and retracted with the load in place. The lift truck’s turning circle is optimal with the jib retracted. Our crane jibs are supplied with metric couplings as standard, but can optionally be equipped with JIC couplings as commonly used in North America. 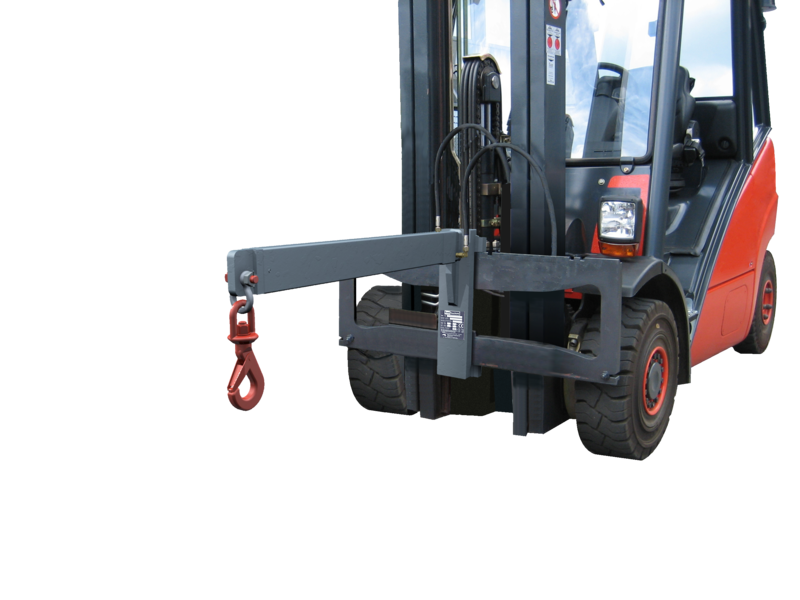 The jib can be fitted on the lift truck’s fork carrier or can be connected onto the standard lift truck forks. In this latter format the unit will be equipped with a safety chain, while play between the forks and the attachment tubes can be eliminated using bolts, preventing the noise that would otherwise result.